As I was making chocolate chip cookies with my son today, I thought of something so profound and deep — it barely surfaced. At that precise moment when my three and three-quarters year old poured the baking powder into the blue bowl, I should have honored and listened to the Montessori urge to go write it down right then and there. But I didn’t. I kept mixing, baking, and preparing our cookie dough. I had spent the hour prior to this trying to engage my sick, moody, snow day cabin fevered son to bake with me. He was mad at me because I would not let him watch Phinius and Ferb — his current favorite cartoon (I really like it too). We (or rather I specifically) are trying to limit his TV watching to two hours a day. And two hours a day seems like too much as it is. Back to my profound deep thought — it was right there ready to be measured out in perfectly proportioned words. The words were perfect — so perfect I thought I’d remember them exactly for sure. But I didn’t; I don’t. I know what my one truth was — geez it was the first line of this darn book my ancestors have placed on my insecure shoulders and it was perfect. Here’s the understudy’s attempt (the lead actress took another gig apparently): my grandmother taught me to cook when I was four. I don’t remember, but my bones do. When I cook with my son, I remember. 1. 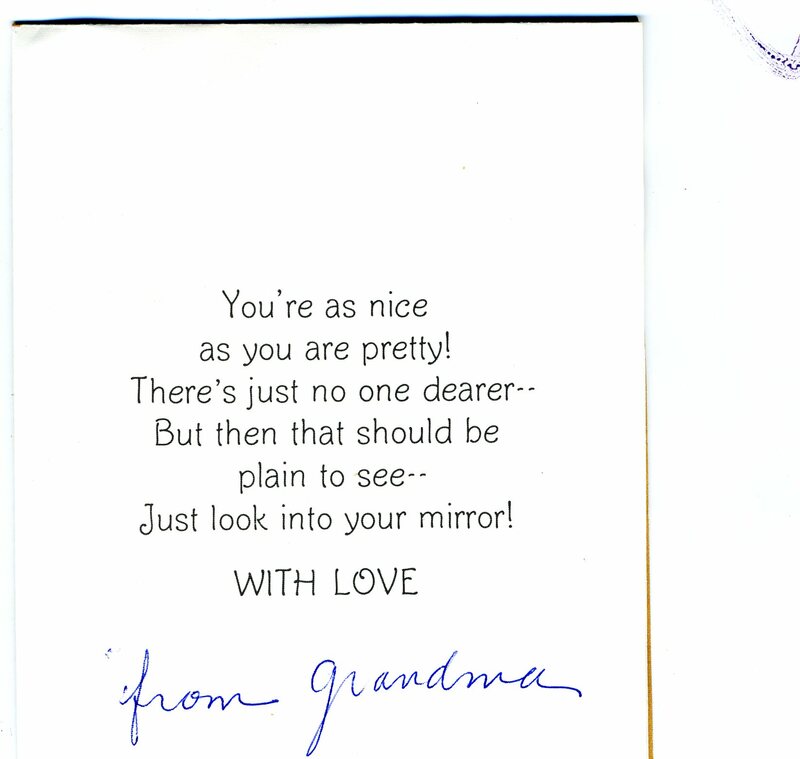 My grandma loved me and I loved her. 2. You don’t get to ask your loved ones all the questions you will have. 3. You are left to wonder. And sometimes wonder is better than knowing. I could hem and haw and stop right there. But the story wants to be told, so I will tell it best I can. I am telling it right now. That is enough for today. The bones know. I am lucky to have had her in my life for the ten years I did. This love is baked into me. I may not remember our conversations, but I remember her perfume. I can still smell it. I remember her pajamas; I can feel them — she always wore silk. I remember her glasses; I touch them — they were pointy. I remember her legs; they were muscular — even for an old lady. She never crossed them at the knee, only the ankles — lady like. Juney, you are my Valentine. I love you. Categories: Uncategorized | Tags: “All you have to do is write one true sentence. Write the truest sentence that you know.” ― Ernest Hemingway, bakeries, baking, chocolate chip cookies recipe, cooking, executive chefs, families, generational stories and memoirs, gourmet chefs, grandmas, memoirs, one true sentence, really great stories, recipes, story, The Evanston Community Kitchen, Valentine's Day, wanting to know more about loved ones who are gone, women, Women's history, writing | Permalink. Thank you for stopping by my little cyber kitchen. I am a writer and have recently come upon a story that has to be told. It is the story of my great-grandmother, Elizabeth Hawley Odell (Mrs. James Odell). I never met her, but her legacy inspires me. She was a business woman ahead of her time. In 1918, my great-grandmother, nicknamed by family — Granny Dell, was about to embark on her legacy. This conservation food project was the seed of an invaluable part of American Women’s History. Granny Dell and her Evanston Woman’s Club associates banded together in 1918 to can 7,000 jars of fruits and vegetables during World War I. It was the summer of 1918 and the Evanston Woman’s Club, along with other organizations throughout the nation, were concerned about conserving food for the war effort. As part of their contribution, the club’s members canned 7,000 jars of fruits and vegetables, from local wartime gardens. 3,500 jars were donated to various charitable organizations in the Chicago area. The other 3,500 jars were sold, resulting in a net profit of $250 for the Evanston Woman’s Club War Emergency Fund. This food conservation project was famous throughout the nation. The Evanston Woman’s Club effort was recognized as the most efficient conservation kitchen in the nation by the Federal Government. 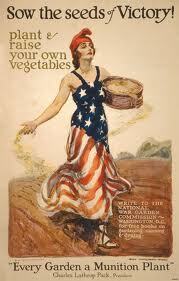 World War I poster from the U.S. Food Administration encourages the public to conserve food. We can certainly apply this to our 21st century lives as well. This food conservation project, which took place in the Evanston Woman’s Club basement was the beginning of The Community Kitchen in Evanston, Illinois. I am going to tell this historical story, which spans 1918 – 1951. 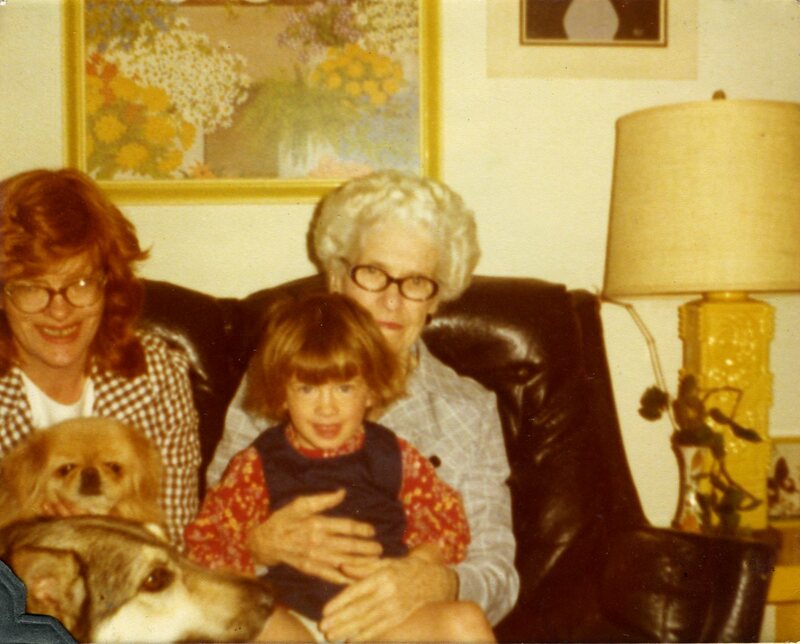 My grandmother, Elizabeth Odell Welch, whom I knew and loved, was also a business woman before her time. She was the co-manager of The Community Kitchen, which her mother established as a business in 1919. Mind you, many people said this centralized kitchen designed to meet the needs of the servant problem would be a failure. In October of 1918, the Spanish Influenza Epidemic reached Northern Illinois. These same women banded together once more, led by my great-grandmother and other Evanstonians, and prepared homemade soups, which they delivered to flu victims too weak and sick to prepare nutritious meals. The women used the club basement kitchen to prepare the soups. These two projects, designed to meet the needs of the community were the seeds to a successful female run business, which spanned 1918 – 1951. My grandmother was a business woman before her time as well. 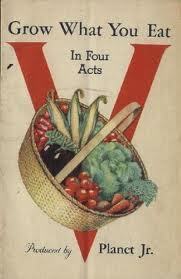 She worked as an executive chef in New York for Alice Foote MacDougall, Birds Eye, and General Foods. My grandmother, nicknamed Juney, worked for Birds Eye, as she was the chef who prepared and photographed the frozen vegetables when they were first introduced to the public. Juney, was a spitfire: tall and elegant. 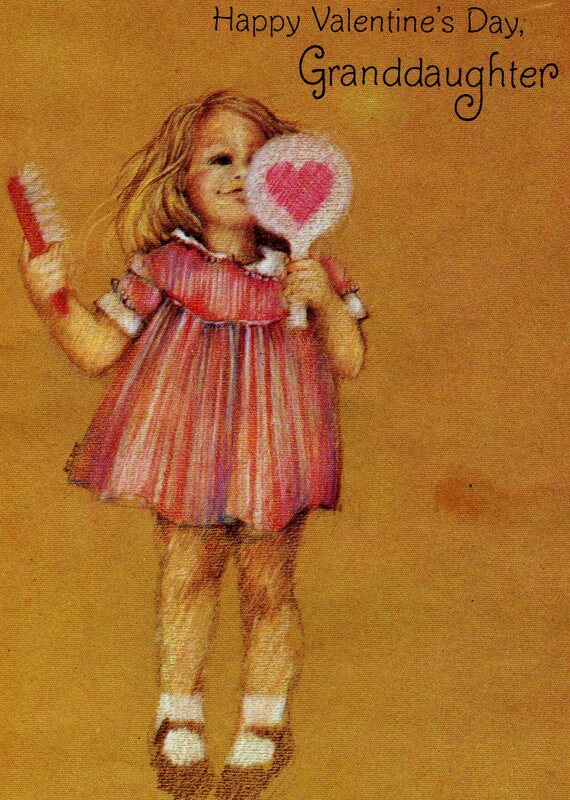 I remember she was even elegant in her pajamas. She wore silk leopard print pajamas. She didn’t have a wrinkle on her face and she attributed her wrinkle free skin to cold cream and staying out of the sun. You can follow The Community Kitchen on Twitter at @600DavisSt and here on this blog. 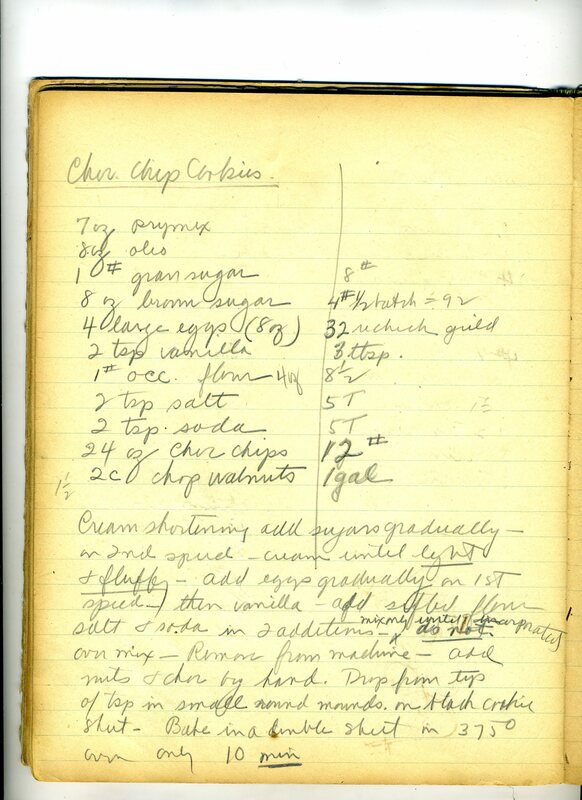 The best thing about this project is I have discovered my grandmother’s notebooks, which have original recipes from The Community Kitchen. There are recipes which call for 32 eggs! I am not a very great cook, but I believe my great-grandmother, grandmother, and mother passed down their culinary skills in the form of stories and writing. I am a chef with words. This book is my bakery! Thank you for stopping by The Community Kitchen. There are many delicious stories being prepared, mixing the flour of history, the sugar of memory, and the baking powder of research. Categories: Uncategorized | Tags: bakeries, Birds Eye, catering services, Elizabeth Hawley Odell, Elizabeth Odell Welch, Evanston, Evanston Woman's Club, food conservation posters, food conservation projects, General Foods, historical bakeries, Illinois, servant problem of the 20th century, Spanish Influenza 1918, The Evanston Community Kitchen, Women's Clubs | Permalink.